Disney Hipster Blog: Let's Move To Disney World! 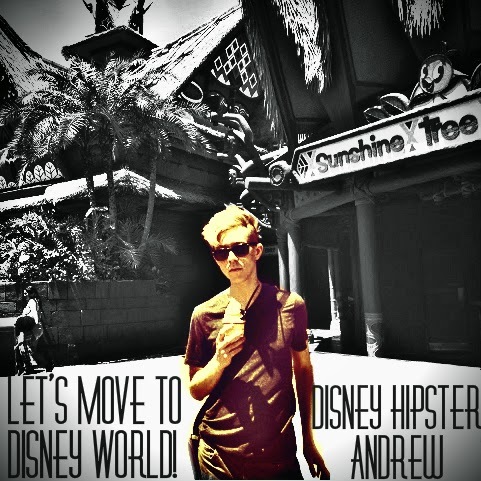 Let's Move To Disney World is an album of original songs by Disney Hipster Andrew. The content was written (over a few years…) exclusively for blog posts/videos. This is a compilation of those songs, including two new songs as well. Though not a kids album per se, Let's Move To Disney World! is family friendly melancholy pop music. All profits from this project are going to Give Kids The World…an amazing organization that you should read about right now. The album includes songs about all four parks (hey, there is a DHS reference…) as well as Disneyland, but also more esoteric attractions like Primeval Whirl, and Living With The Land. You can buy Let's Move To Disney World in various online stores! We'd love to move to Florida one day. But for us brits it is quite a task.